The Hollywood Reporter announces a film on Hank Aaron. It will be made by the director of The Natural. 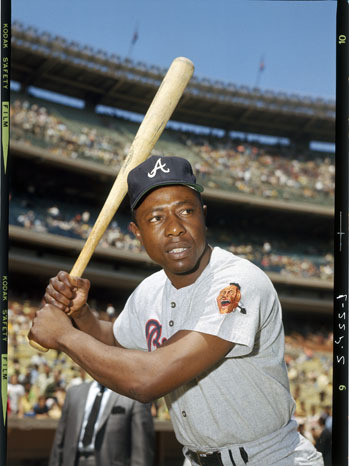 As he approached and surpassed Babe Ruth’s sacrosanct lifetime home-run record, Aaron—who was playing in Atlanta at the time—was subject to racist abuse (in the early 1970s) as flagrant as any even Jackie Robinson experienced. Watch for details! This entry was posted in Baseball and tagged Atlanta Braves, Babe Ruth, Hank Aaron, Jackie Robinson. Bookmark the permalink.